This unique aluminum bull's head has beautiful horns, and will make a stunning focal point, infusing your decor with a touch of hunting atmosphere. 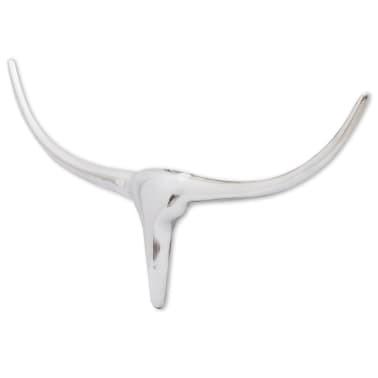 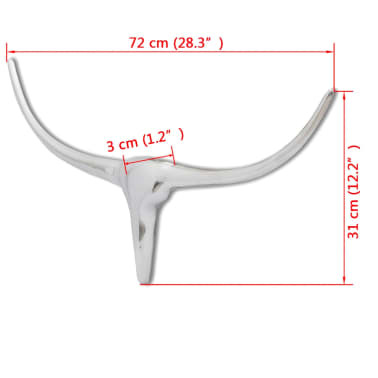 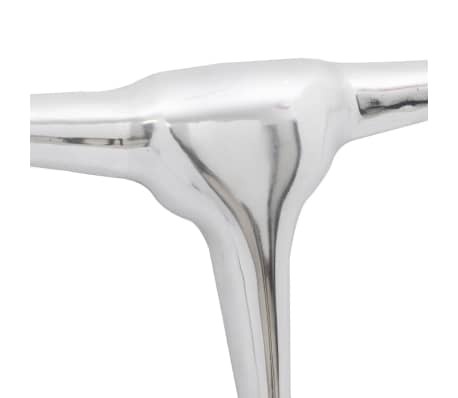 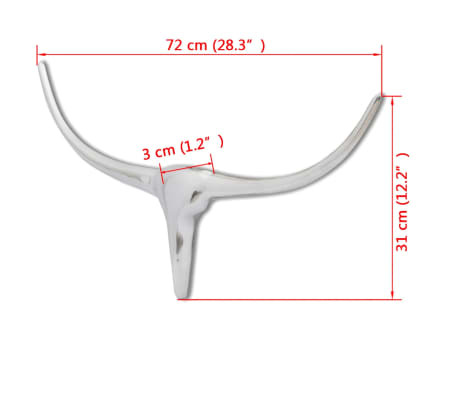 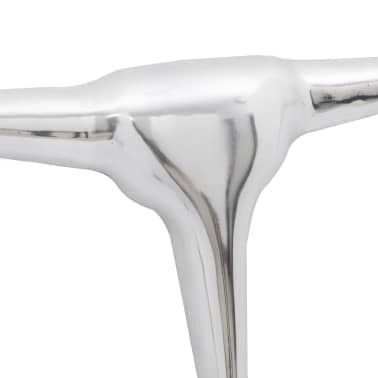 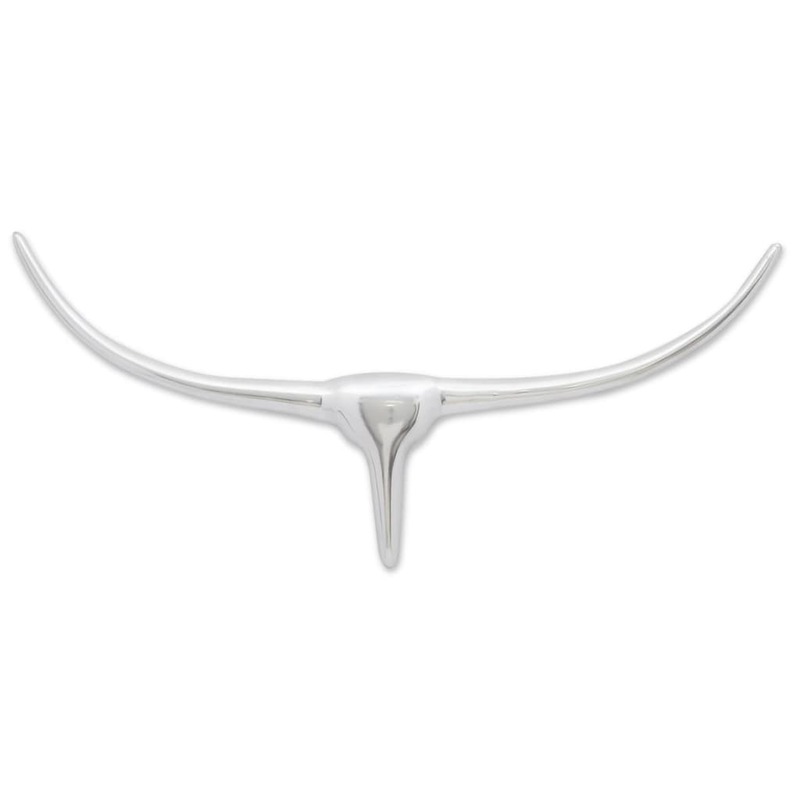 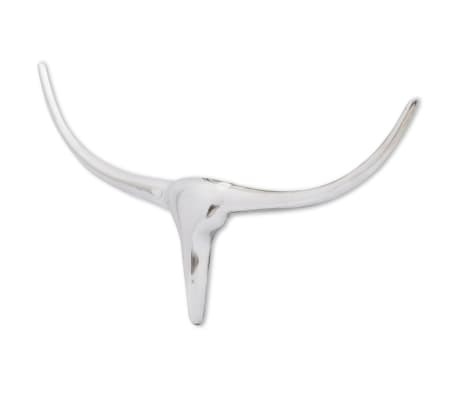 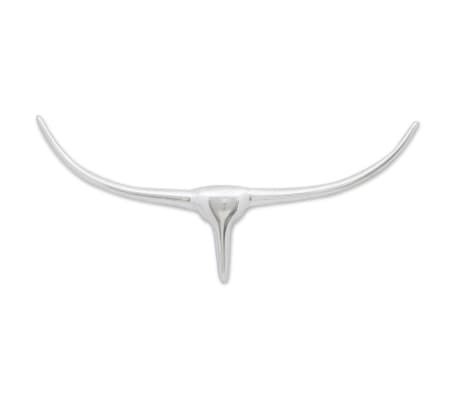 Made of high-quality aluminum with a polished finish, this bull head has a sturdy structure. It is quite large, with a width of 28.3" and a height of 12.2". 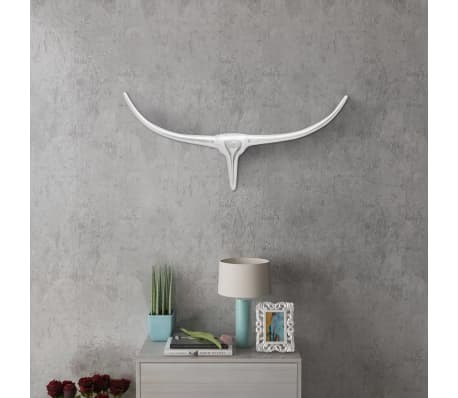 Turn your wall into a feature with this expertly crafted decoration piece. 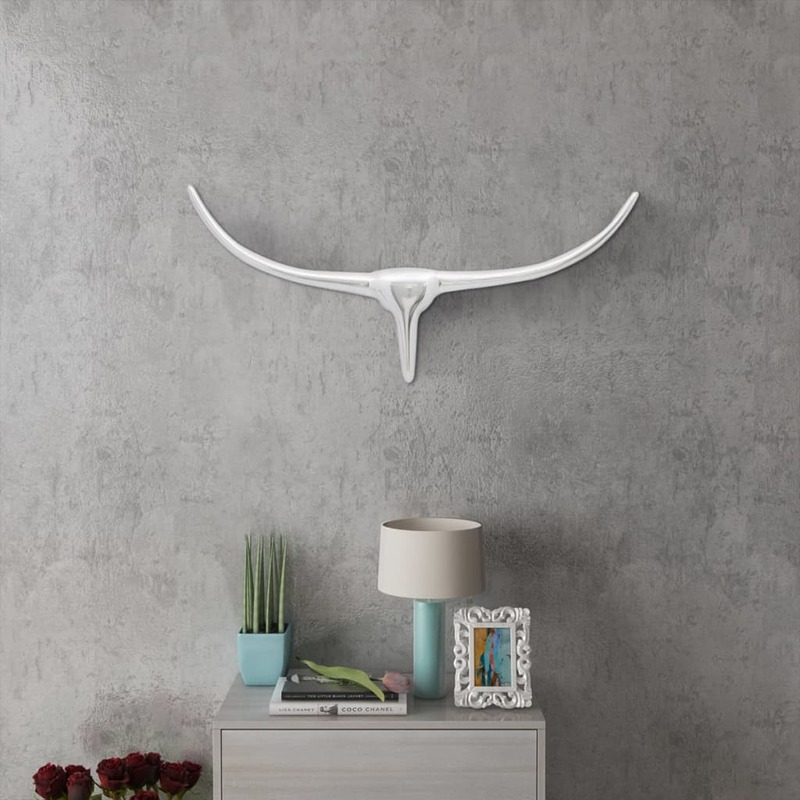 It can be easily mounted.